Data collected in a survey of warm dust in the habitable zones of numerous stars may provide scientists searching for Earth-like planets with important insights into future exoplanet hunting missions. NASA’s Hunt for Observable Signatures of Terrestrial Systems (HOSTS) is using the Large Binocular Telescope Interferometer (LBTI) in Arizona to analyze the brightness and density of stellar dust, also known as exo-zodiacal dust, in the orbital planes of 30 nearby stars. The project focuses on these stars’ habitable zones, the regions where temperatures allow liquid water to exist on planets’ surfaces. LBTI’s two eight-meter telescopes, which are between five and ten times more sensitive than the most recent telescope to study exo-zodiacal dust, the Keck Interferometer Nuller, surveyed the levels and brightness of this dust to assess the sizes of telescopes needed for future exoplanet searches and the ideal stars to target. Stellar dust glows in infrared wavelengths because it is heated up by the host star. “The more dust there is, the bigger the telescope has to be to image a planet. 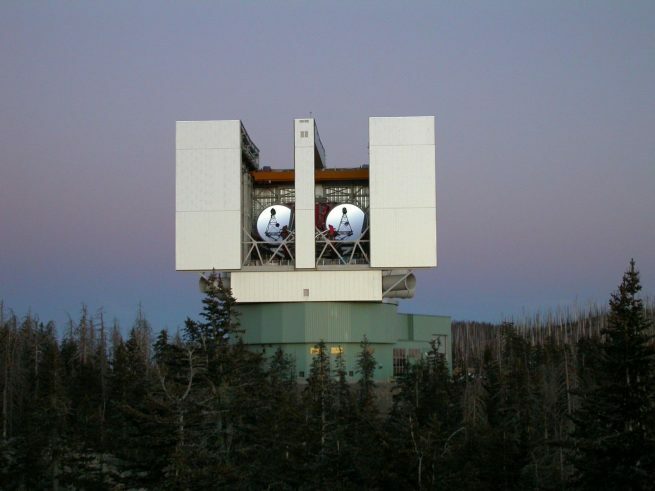 It is important to know what telescope size is required so the costs can be minimized,” said LBTI instrument scientist Steve Ertel of the University of Arizona’s (UA) Steward Observatory, in a news release. A thick envelope of dust surrounding a star could make resolving any planets orbiting that star difficult or impossible, NASA said. “We want to characterize stars that are similar to our own solar system, because that’s our best guess as to what other planetary systems might have life,” Philip Hinz of UA, who leads the HOSTS team, said in a news release. The distribution of dust in a stellar system can provide hints as to the types and locations of planets in that system. Standard systems have wide discs of dust that cover the entire system, a pattern resulting from asteroid collisions far from the star. Dust produced by those collisions subsequently spirals toward the star, in the process spreading throughout the system. Vega, one of the brightest known stars, is circled by a distant disc of cold dust and a nearby disc of hot dust. 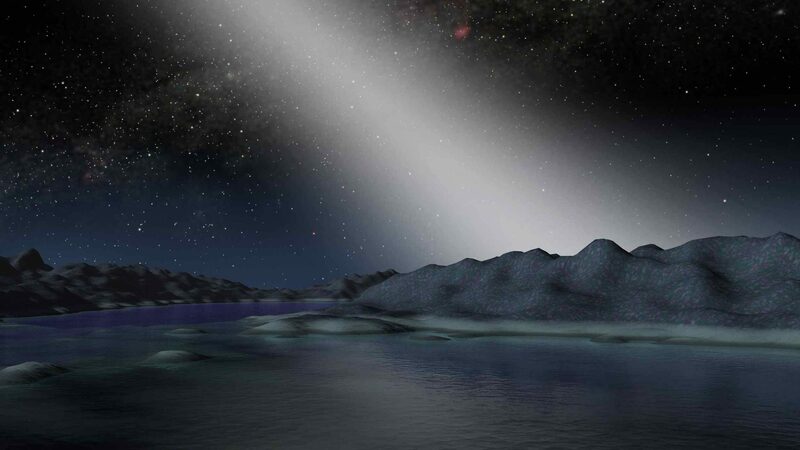 Scientists were therefore surprised to find its habitable zone contains no dust at all. The typical level of stellar dust detected is less than 15 times that found in the Sun’s habitable zone. Most Sun-like stars were found to not have high dust levels. Epsilon Eridani, a Sun-like star and one of the ten closest studied by HOSTS, is surrounded by a thick dust layer, meaning any orbiting planets would be very difficult to find. Before designing and building the next generation of planet-hunting telescopes, astronomers say they need to know the limits of their abilities to detect dim planets orbiting bright stars surrounded by dusty discs. HOSTS data could play an important role in helping scientists decide on the size and power of future space telescopes that search for exoplanets, researches say. It could also provide insight into the architecture of stellar systems and the appearance of both dust and asteroid belts within them. Findings of the study have been published in the Astronomical Journal. A long-term project, the survey, which Hinz describes as being in its early days, is expected to continue. Its results are expected to eventually be published in a once-per-decade report, which NASA is expected to use to plan future planet searches.